Ahmadiyya Muslim Jamaat Malta, one of Malta's peaceful Muslim communities, continues with their national doorstep and publicity campaign to reassert true Islamic principles of peace and loyalty. 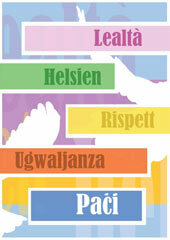 The campaign bearing the slogan of: Lealà – Ħelsien – Rispett – Ugwaljanza – Paċi; was rolled out on Friday 25th February 2011, with the Annual Peace Conference 2011. 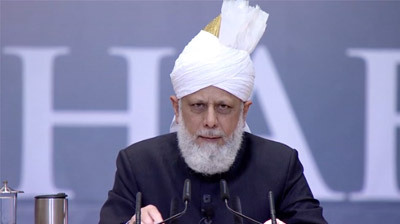 Members of Ahmadiyya Community are presenting people the leaflets that highlight the Islam's commitment of fundamental values and principles of loyalty, freedom, respect, equality and peace. The community is trying to show the true picture of Jihad and categorically condemns all sorts of extremism, fundamentalism and terrorism. And promote its famous slogan of "Love for all – Hatred for none". 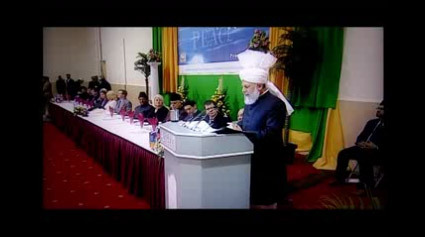 This drive to promote peace is repeatedly emphasized by the worldwide leader of the Ahmadiyya Muslim Jamaat, his Holiness, Hadhrat Mirza Masroor Ahmad, who said: "A true Muslim can never raise his voice in hatred against his fellow citizens, nor for that matter against the ruling authority or government of the time. It is the responsibility of a true Muslim that he should remain loyal and fully abide by the laws of the land of which he is a subject." Download the Musulmani għal paċi [PDF] leaflet. Alla – Isem ta’ Wieħed, is-Suprem. Alla huwa s-Sid tal-Univers, Huwa tabilħaqq jisma’ kollox u jaf kollox. Għandu Attributi differenti, u l-Attributi kollha tiegħU huma eterni u dejjiema. Huwa l-Uniku u Wieħed u ħadd mhu daqsU. Alla jista’ kollox. Huwa Dak li m’għandu lil ħadd jaqsam miegħu l-Attributi tiegħU. Hu perfett fl-Attributi kollha tiegħU.